What is cultural intelligence (CQ or CI), and how does it impact our ministry? How can we grow in understanding and relating to diverse cultures around us? We will view cultural intelligence through a gospel lens and God's Story of Redemption. Come ready to learn, share, debrief and grow in your cultural intelligence. Why is cultural intelligence (CQ or CI) important? How does it affect our ministry? How can we view ministry in a culturally diverse world through the lens of the gospel and God's Story of Redemption? How can we increase our cultural intelligence? Come ready to learn, share, debrief and grow in this important area! 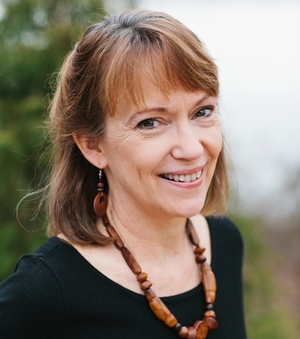 The Gospel Lens Look at Cultural Intelligence will be led by Maria Garriott. In 1981, Maria and her husband Craig thought getting married, moving to urban Baltimore, buying and renovating a decrepit apartment house, starting a church, and having a baby all within a year sounded like a good idea. Thankfully, Jesus showed up and everyone survived. As a pastor’s wife, she’s been involved in the poop (nursery), scoop (hospitality), group (women and small) and troupe (worship music). And she also likes to play with words. She wrote curriculum for the Johns Hopkins University School of Education for two decades and authored a memoir, A Thousand Resurrections. She still loves Jesus, her husband, five adult children, two grandchildren, and her church. She can be bribed with—inquiring minds want to know—dark chocolate.